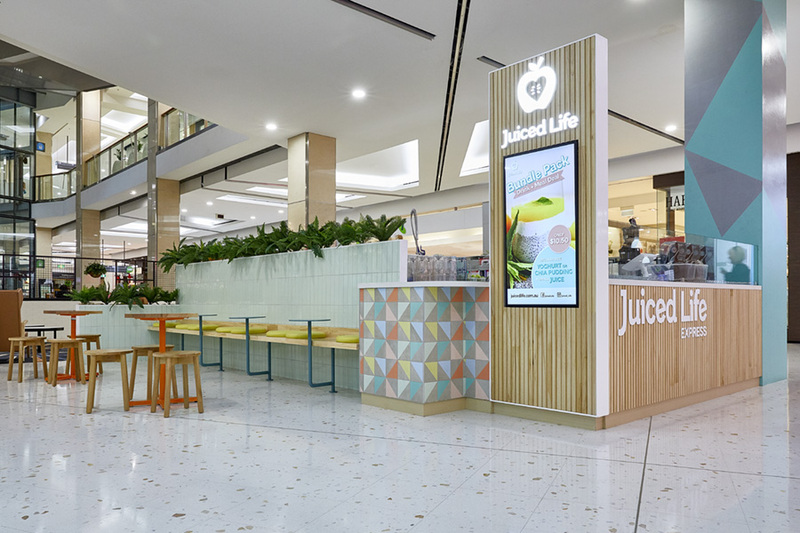 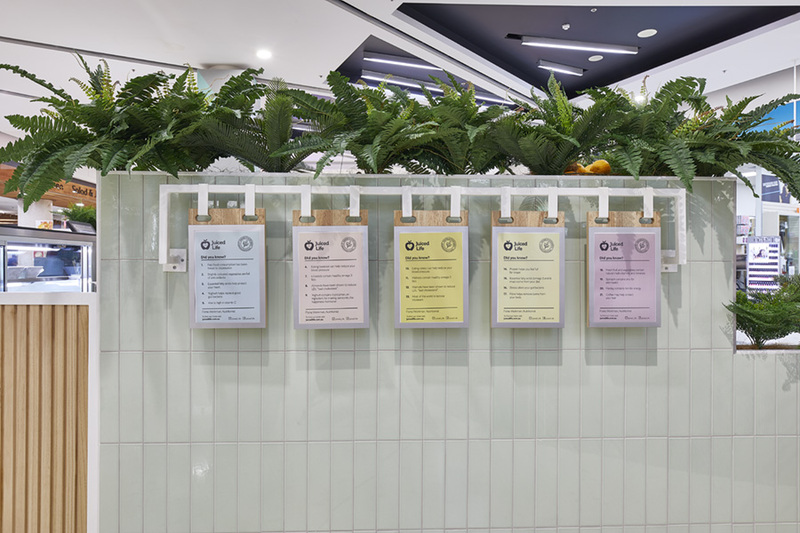 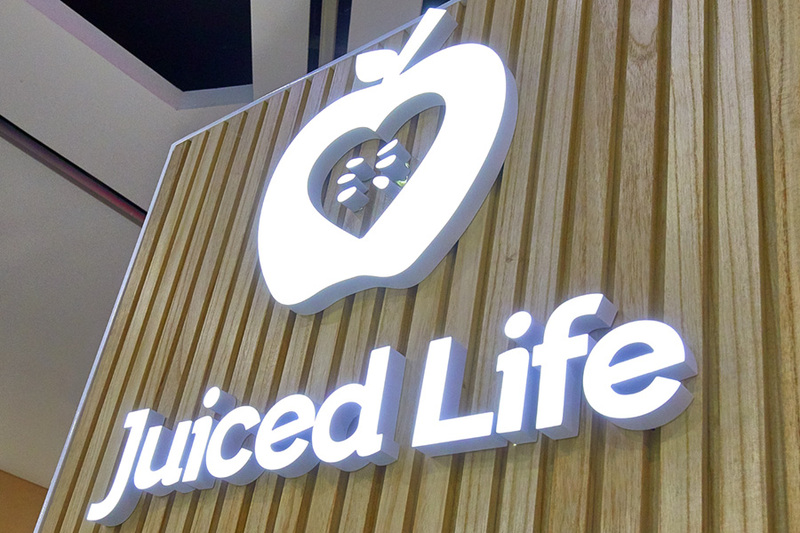 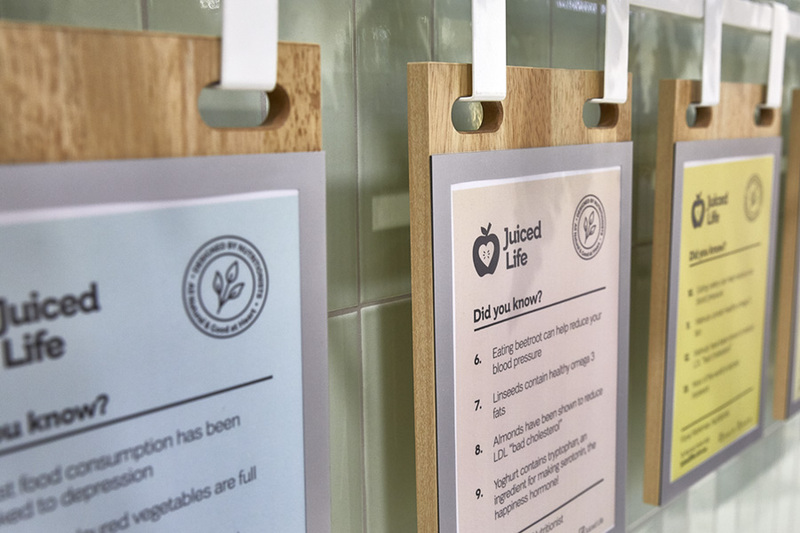 Our first Juiced Life store located inside Top Ryde shopping centre. 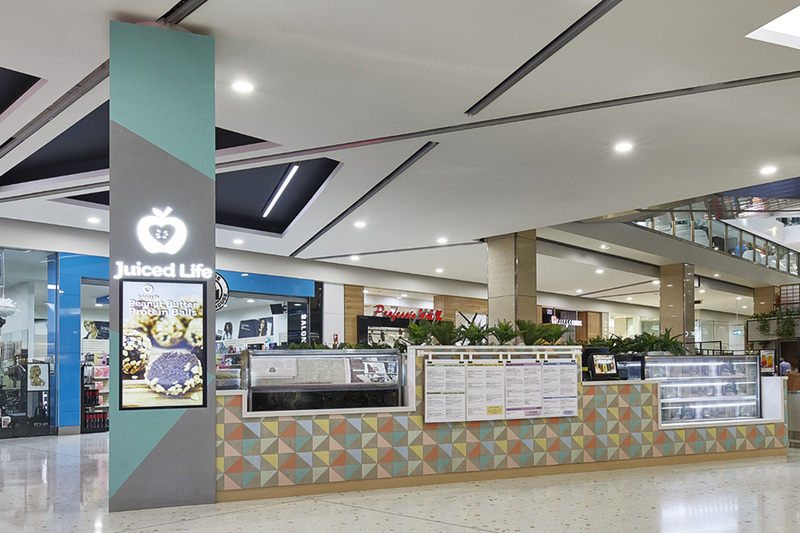 We were approached by the client to streamline the design & construct process while also reviewing their current built environment. 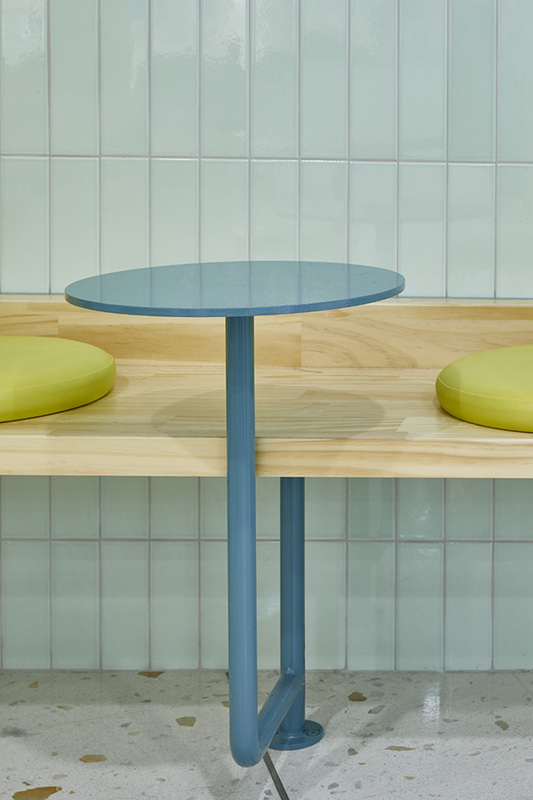 We implemented natural oak timber to soften the palette. 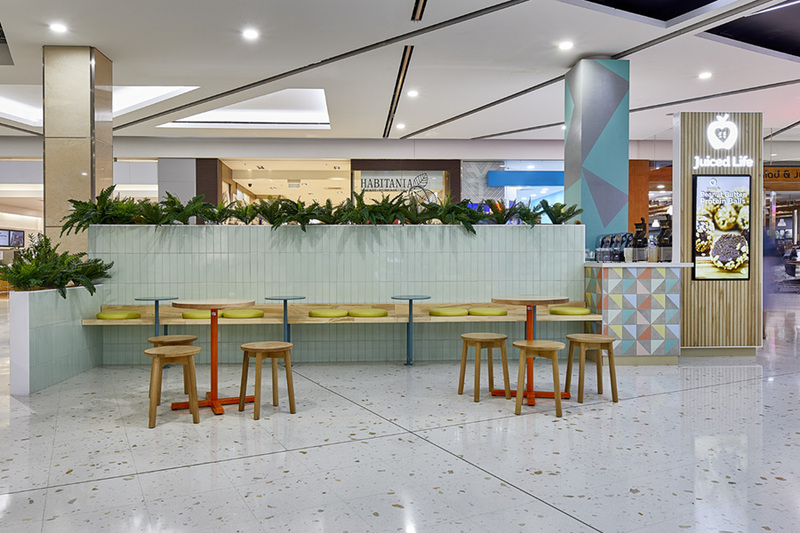 Raw concrete with stencilled graphics was implemented to compliment the colourful geometric tiles. 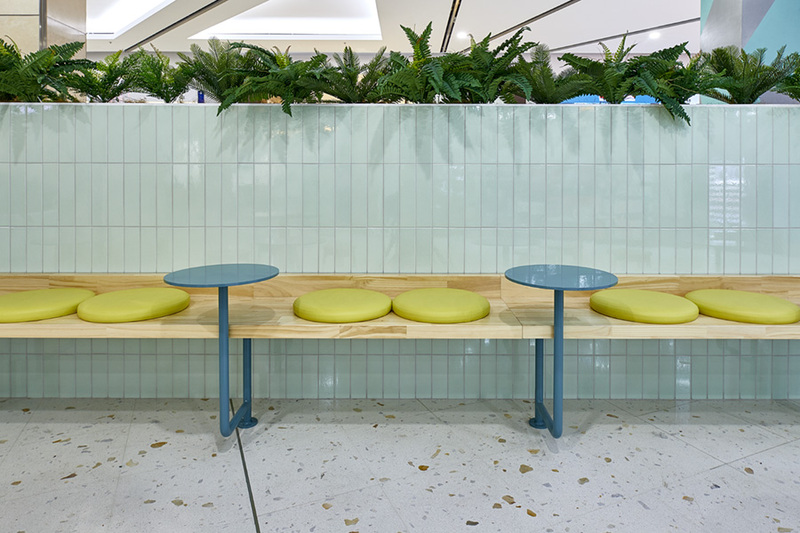 Built in tables attached to the banquette provide the perfect place to sip your fresh juice, while green foliage adds warmth.